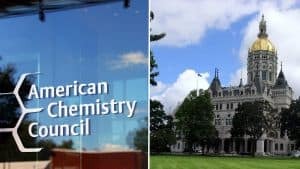 What happened this year in Hartford shows how industry — fueled by the American Chemistry Council, a $100-million-a-year advocacy group glittered with Fortune 500 partners — is flexing its muscles from statehouse to statehouse to beat back efforts to disclose harmful chemicals or remove them from the shelves. 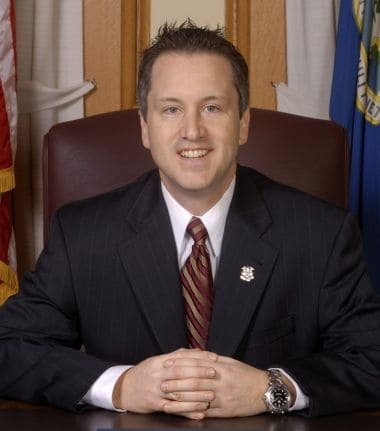 This session, it was snuffed out by an aggressive lobbying push from the ACC and state business groups, and an outcry from Republican members portraying the bill as an attack on business and duplication of federal efforts. Urban couldn’t even get it to a vote: legislative critics literally talked the three-page bill to death for more than four hours one afternoon, killing it on an appropriations deadline day with question after question that kept the clock ticking to zero. Roll over a statehouse to see how chemical safety legislation fared in that state. Click for details. Statehouses adapted from outlines by pixelglasses, licensed from Shutterstock. In Washington State, the ACC helped kill the Toxic-Free Kids and Families Act. The 2013 bill would have banned two toxic flame retardants from children’s products and furniture, and prevented manufacturers from replacing them with retardants identified by the state Department of Ecology “as a high priority chemical of high concern for children.” The bill was weakened in the Senate to ban retardants already being phased out by industry — but failing to grant the larger state powers. Then, as supporters tried to revive the original measure, it died. In Maine, the bill Aho’s office fought — An Act To Further Strengthen the Protection of Pregnant Women and Children from Toxic Chemicals — was also watered down before winning approval, with the ACC among the critics pushing back. The initial bill would have identified products using the 49 “worst of the worst” chemicals and sought to remove them from reaching children. The final version would have effectively required $1 billion companies to disclose their use of Bisphenol A (BPA), a chemical that some studies suggest can impact the brain and behavior of children, in food packaging. In state after state, officials echoed Harrison: The federal government is stuck in time, forcing states to act. The Government Accountability Office has also raised questions about the pace of EPA reform. Even with some changes, “it is unclear whether EPA’s new approach to managing chemicals will position the agency to achieve its goal of ensuring the safety of chemicals,” the GAO concluded in June. 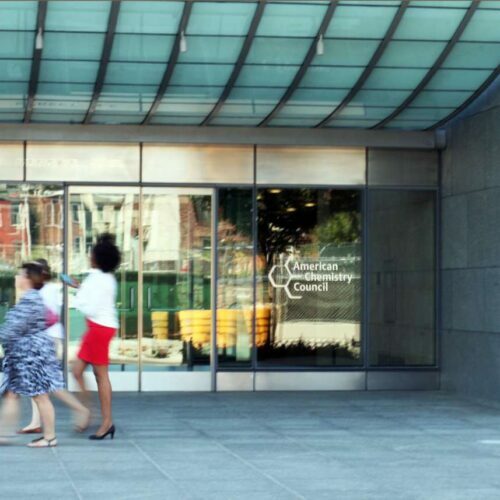 In large measure, the ACC is fighting both the states and the feds. Even as it tells the states to leave the job to Washington, the chemistry council has attacked the fine print of some proposals to reform TSCA. It’s an argument the ACC had made elsewhere, providing fuel for legislative critics to douse state bills. 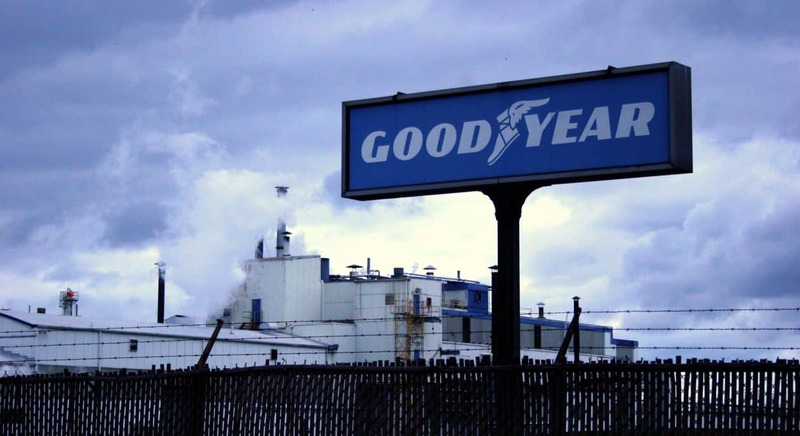 The chemistry council’s model plan said consumers should have confidence the products they buy are safe, and that federal rules should “preserve America’s role as the world’s leading innovator and employer” in the chemical field. While Lautenberg’s bill has gained momentum and awaits congressional hearings, some environmental groups and states worry that the measure, cemented after compromise with critics, could weaken standards in some instances. The ACC said it strikes the right balance. “It was the first time in 40 years we actually have a bipartisan approach to reform TSCA,” Openshaw said. 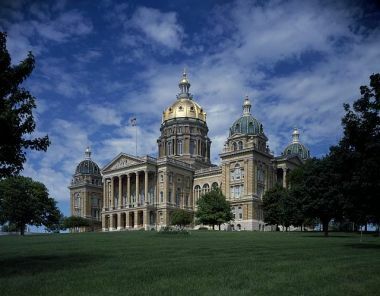 Click below to see how this final chemical safety bill from Iowa lifted language from American Chemistry Council’s model legislation verbatim. 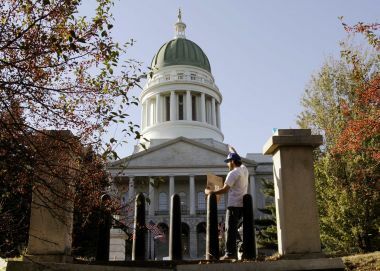 “The bill will identify which products contain the 49 ‘worst of the worst’ chemicals and set priorities for action to get those chemicals out of household products that Maine children encounter every day,” wrote the Maine Conservation Voters. The bill would have pushed the state DEP to each year prioritize two chemicals, from the 49, and set about studying alternatives to replace them. To many, Washington State is a leader in toxics reform. The state adopted a “Chemicals of High Concern to Children” list, 66 chemicals from formaldehyde to benzene to BPA the state considers potentially hazardous. Other states have tried to follow suit and create their own lists — the first step, advocates say, in ultimately removing products that can sicken children. She quickly encountered resistance. In public hearings, the ACC and Toy Industry Association squared off against bill public health backers including Oregon nurses. “The American Chemistry Council, the Toy Association of America, the Associated Oregon Industries, Procter & Gamble, the pulp and paper industry, the International Fragrance Association … have all opposed the bill and they are putting up a really pretty big fight,” Keny-Guyer said in June, with the bill still in play. 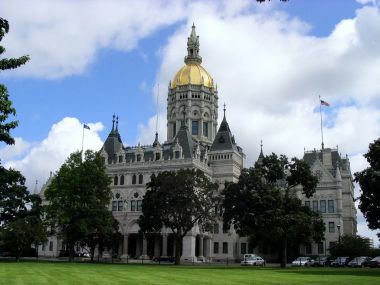 For bill advocates, the low point was a four-hour hearing before the Connecticut Appropriations Committee April 23, the deadline day for the committee to move bills forward. In a hearing room filled with mostly empty chairs, Urban opened with a brief overview. Republican opponents didn’t see it that way, probing the three-page bill for hours, sometimes asking Urban to define words in the proposal, or explain how it compared with practices in Europe. Critics pitched their own amendments, each one triggering more questions — and more delay. Seventeen Republican critics took turns picking the bill apart word by word. Study released today examines greenhouse-effect-causing leaks from fracking wells.